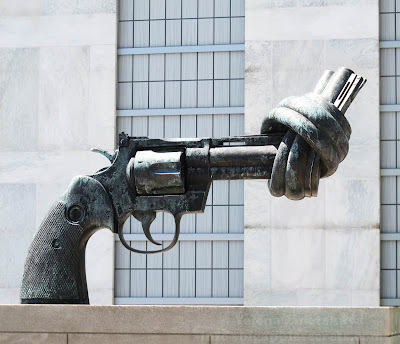 During a recent visit to the United Nations Headquarters in New York City, I took a photo of the powerful “Non-Violence” sculpture located in the Visitors’ Plaza created by Swedish artist Carl Fredrik Reuterswärd. 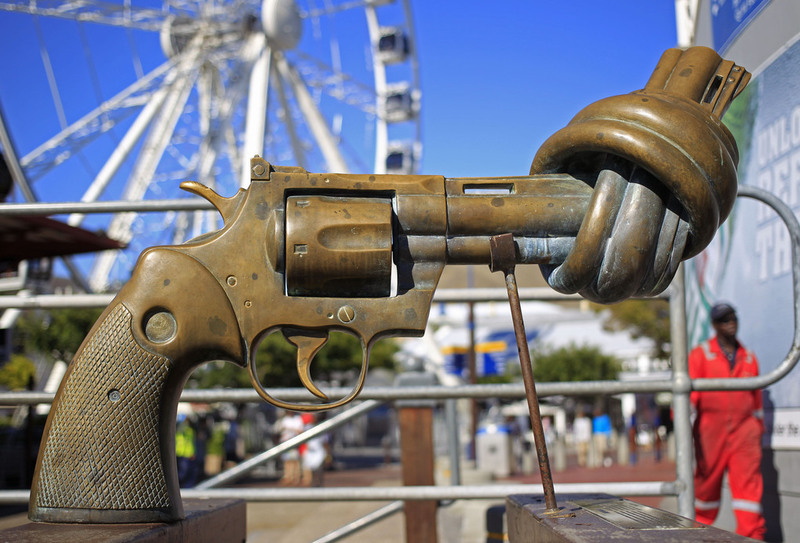 The sculpture depicts a 45-caliber revolver with its barrel knotted into a bullet-blocking twist. 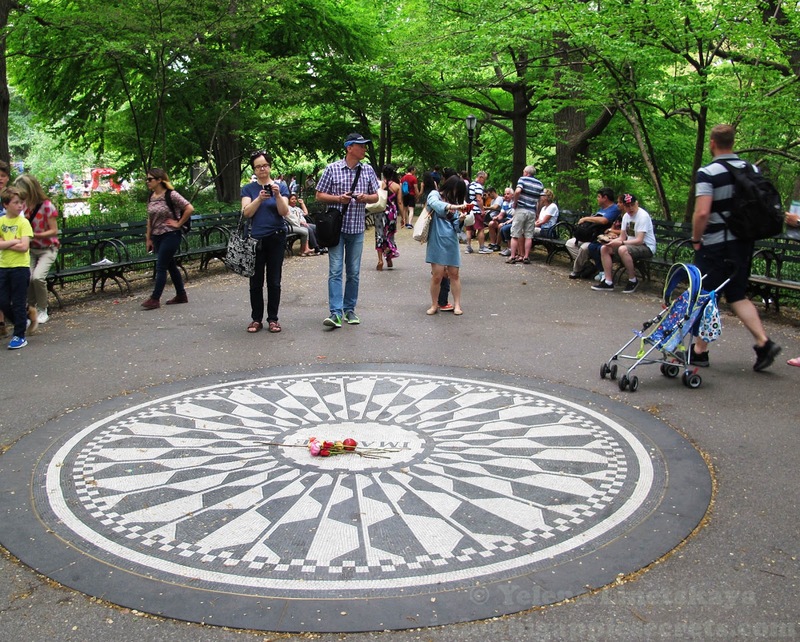 On December 8 1980 Mark David Chapman waited for John Lennon outside the New York City apartment building Dakota where John lived with his wife, Yoko Ono, and his son. Shortly before 11 p.m., Chapman opened fire and killed Lennon. 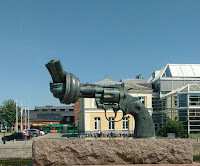 Carl Fredrik Reuterswärd, Swedish painter and sculptor, one of the friends of John Lennon, was so upset and angry that he went to his studio and started working on the “non-violence” project. “My first sketches in three dimensions were rather rough and simple, but the important thing was that the idea of the knotted barrel was with me from the very start,” he said. Carl Fredrik Reuterswärd lived in Lausanne, Switzerland, for many years and his works were exhibited around the world. He studied with Fernand Léger in Paris in 1951 and was a professor of painting at The Academy of Fine Arts in Stockholm from 1965-1969. In 1974 he was a guest professor at Minneapolis School of Art, Minneapolis,Minnesota. 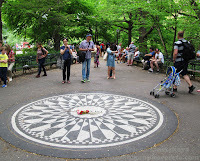 Initially the sculpture made by Reuterswärdin response to the shooting death of John Lennon in 1980 was placed in the Strawberry Fields memorial in Central Park, New York, across the street from Dakota, where Lennon and Yoko lived. 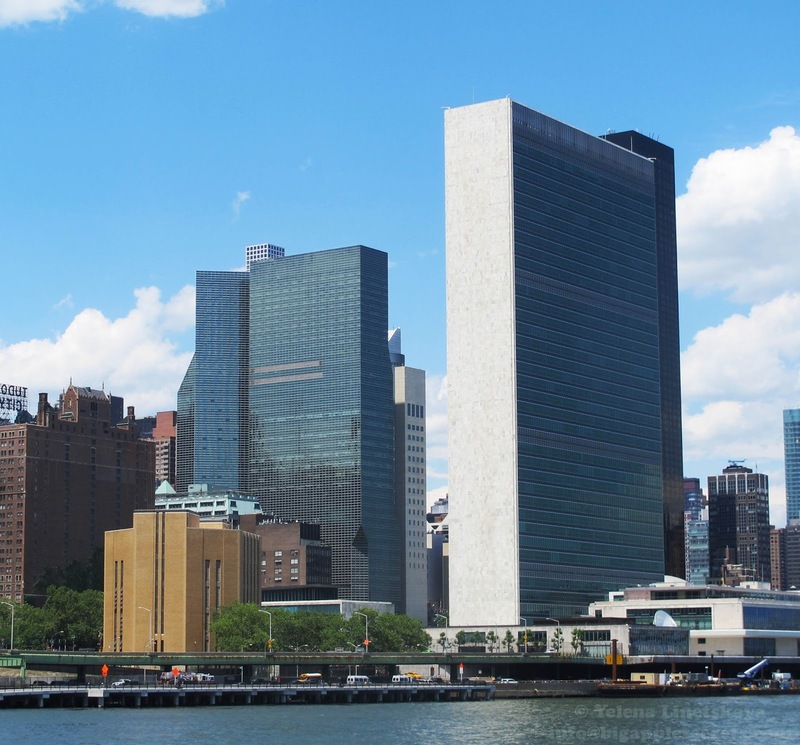 One of the first three versions of the sculpture was bought by the Luxembourg government. In 1988, the Government of Luxembourg donated the bronze sculpture to the United Nations. The Swedish artist produced different variations of the piece, one them of being the sculpture installed in 1985 in Malmo/Sweden . 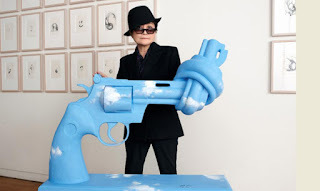 Other versions are on display in a number of cities, including Stockholm, Beijing, Cape Town and Lausanne, the Swiss town where the artist lived for a long time.